In December 2016, Aria Child recalled 29,000 strollers, instructing consumers to stop using the products and contact the company for a free replacement. Five consumers were pinched by the hinge mechanism of the $180 stroller. Four of these consumers needed stitches for cuts. In addition, 71 strollers malfunctioned, by folding unexpectedly during use. Twelve adults and children suffered bumps or bruises. One adult fell and fractured a wrist and elbow. In February, Britax Child Safety Inc. recalled more than 700,000 strollers, including the Britax B-Agile and BOB Motion strollers. The strollers had defective mounts which attached to the car seat carrier. Britax received 44 reports of car seats detaching and 26 injuries including scratches, bruises and bumps to the head. 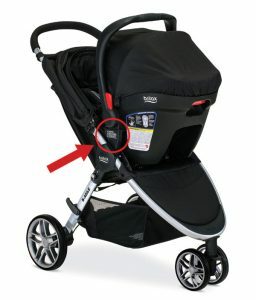 More than 1,300 receiver mounts on strollers were damaged. Britax has instructed parents not to use the strollers with the travel system and to contact the company for a repair kit. Check for Other Recalls. As consumers, we are not always aware of recalls, especially if products are passed down or are not registered with the manufacturer. Make it an annual routine to check on product recalls each Spring before your child starts using them. Dressers. Ikea recalled 29 million dressers in June 2016, following the deaths of six children. The Consumer Product Safety Commission recommends parents always secure dressers to a wall. Lane Furniture. The Lane Furniture recall of cedar chests is a painful topic for many people in Massachusetts. We only include it here as an example of a product which has been recalled, yet continues to harm consumers. In 2014, two children from Franklin, Mass. tragically suffocated while playing and becoming trapped in a Lane Furniture cedar chest which had been recalled because the latch was unsafe. This was not the first time a child was killed. According to the Consumer Product Safety Commission, 34 children have become trapped and died in similar chests since 1996. Lane Furniture had first recalled 12 million of the cedar chests in 1996. But many chests are likely still in use with the dangerous latch in place, in homes, in storage and consignment shops. They are so dangerous because they are nondescript and would not stand out to many consumers. Car Seats. Car seats or child passenger safety seats are a source of frustration for many parents. If you are struggling with yours, check online to see if it has been recalled. Millions of parents were impacted by the Graco car seat recalls in recent years. The buckles in these car seats were defective, forcing parents to cut the straps to free children in some cases. Outdoor Toys to Check. This time of year, make sure to also check for recalls related to swingsets, bicycles, pools and other outdoor toys. Even if these products are not recalled, carefully inspect them. They age; repair any broken pieces. Throw away products which are broken and could cause injury. Remember, if a product can harm your child, it can cause someone else injury. Take it apart before you throw it away. In a perfect world, you would not have to inspect your children’s products periodically or check for product recalls. Manufacturers have a responsibility to properly design and test products and should take those steps. When they do not, they can be found liable for injuries resulting from defects. They may also be subject to government investigation and fines. The Boston product liability attorneys at Breakstone, White & Gluck have over 100 years combined experience representing those injured by defective products and medical devices. In recent years, we have obtained settlements of $1.15 million and $2.5 million for individuals injured by defective products or products which were misused.